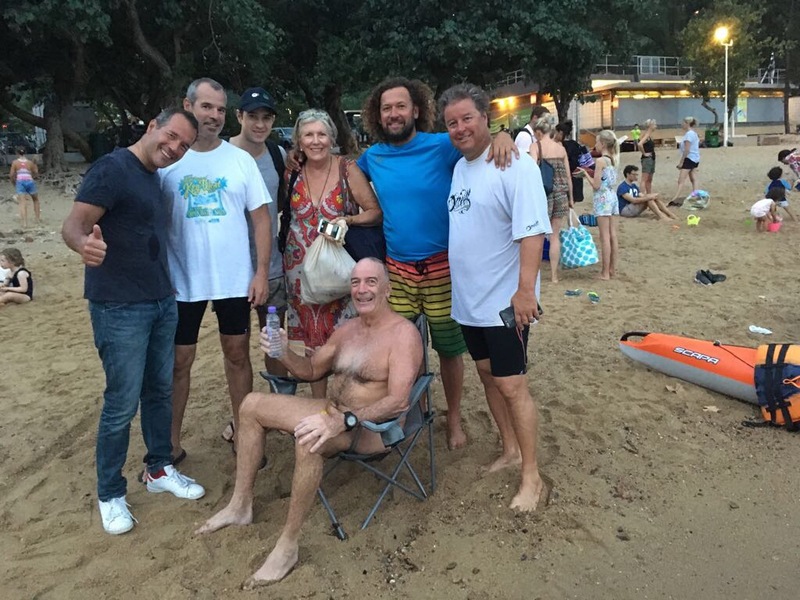 We’d had a great first night with swim trek friends Chris, his brother Ben, Dan and Yves. Chris, from London, is always thinking up a swim they can do together. 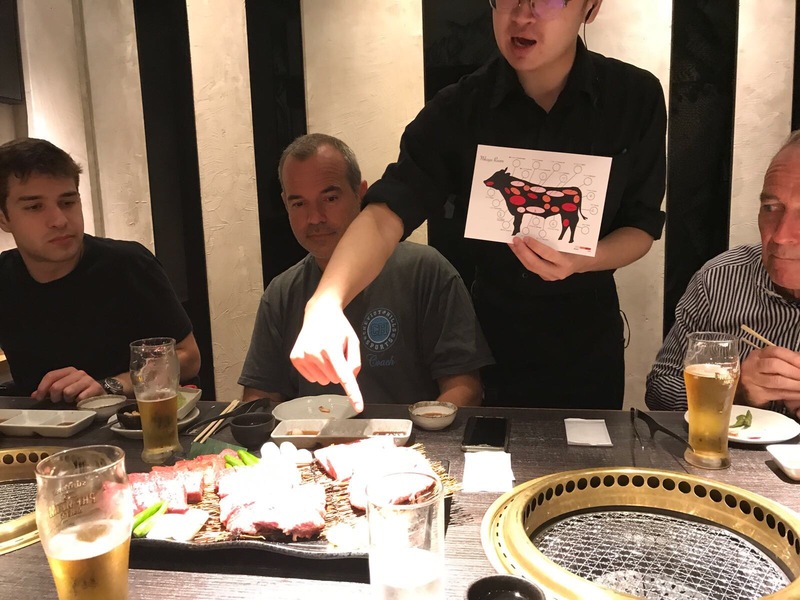 Our dinner tonight hosted by Ben was in a great Japanese restaurant featuring meat! Lots of it to BBQ. I wish I’d kept the map of the cow showing the 6 parts of the cow we ate. It came to the table on a large tray in the order to be cooked on the small BBQ set into the table. Washed down with beer and sake it was a great night to catch-up. The swim day started early. 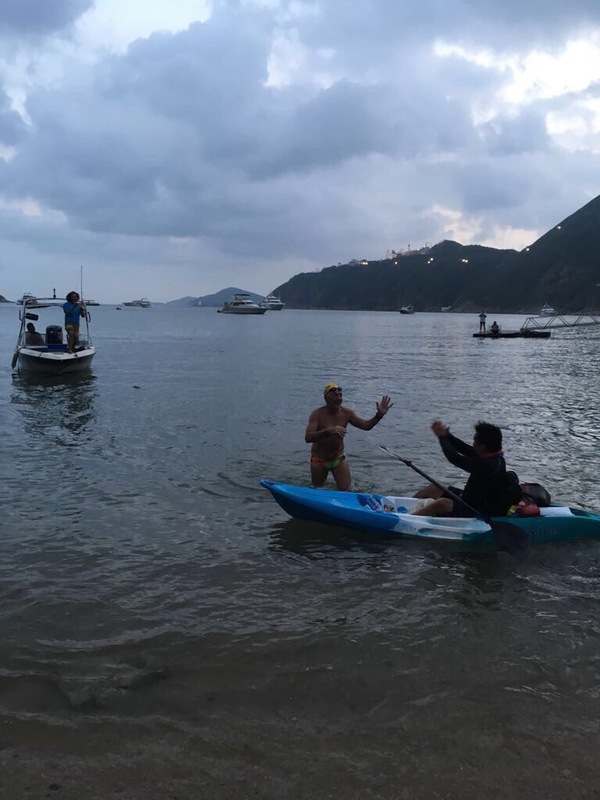 We had to leave by taxi at 8.30 to get to Stanley Beach where the swim began. Stanley is across the island past Repulse Bay and once was a fishing village. Now it’s gone ahead and on a Saturday morning the locals, mostly expats, were down at the beach windsurfing. The beach sadly is littered with plastic and other assorted rubbish. The swimmers were assembling and it all looked fairly disorganised. For a 15 km swim there weren’t many safety measures. The boys met their paddlers and started stacking the canoe with the drinks and food they would need for the swim. Yves is very experienced at distance swimming. He’s done the Channel so knows what he’s doing. 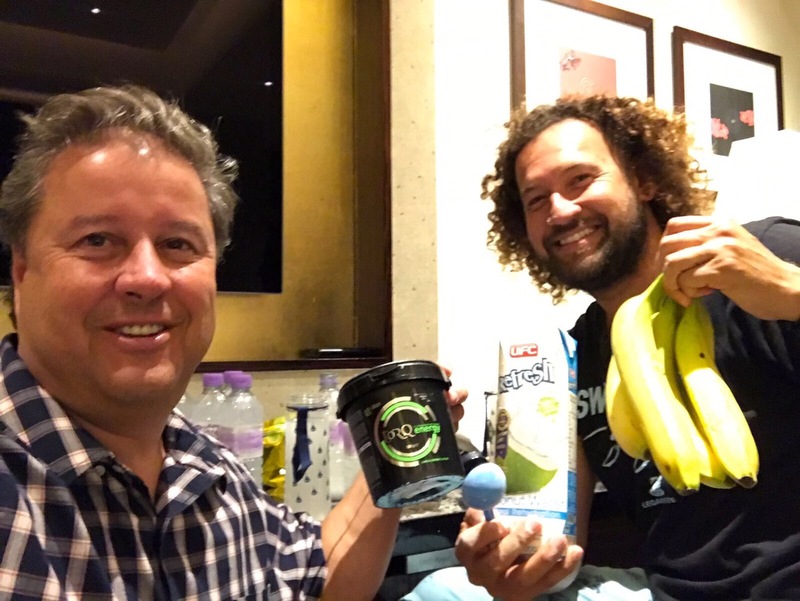 Kenny, Steve’s paddler, seemed to understand the importance of making Steve stop for food ( banana, lollies,water, gels ) every 30 mins. Conditions looked bad. There was a very strong wind which they had to swim into. I was having my doubts and Steve was just a little nervous. So I waved Goodbye and went off to explore Stanley, the markets, the new mall, bus to Repulse Bay before arriving at Deep Water Bay. 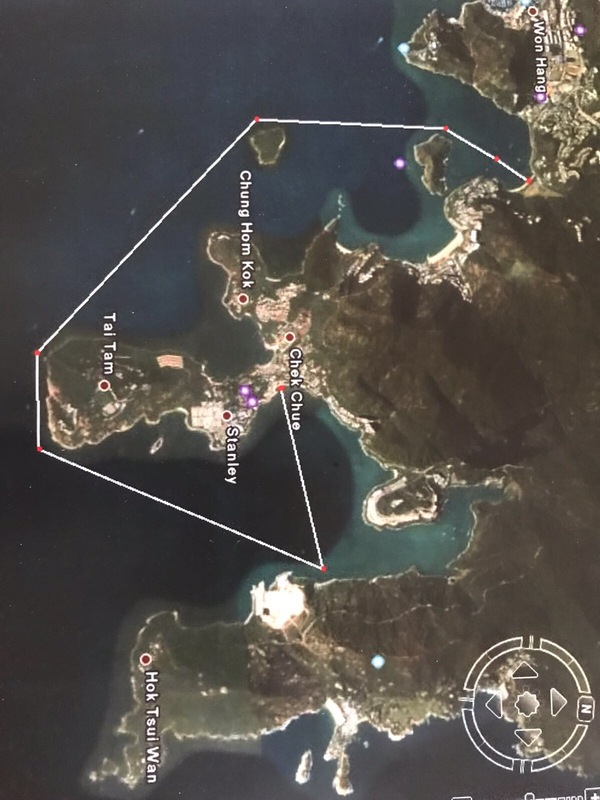 Map of the swim course. Full of rips , currents and wind! They hoped to be about 5 hours but I thought with these conditions it might take longer. I was right. After about 5 1/2 hrs Ben came in – but had been pulled out of the water earlier. He was so disappointed. Then in came Chris, Dan and Yves very P*#}# off as they said he wouldn’t make the time so had to stop. Meanwhile no Steve. By 6 1/2 hrs I was worrying. Everyone was finishing. Young groups of swimmers had formed teams and were all high-fiving each other. Still no word on Steve. The light was fading, the post-swim BBQ roaring, beer running out. I’m getting frantic by now. The prize giving started. The race organisers said ‘ they thought they had found him’. 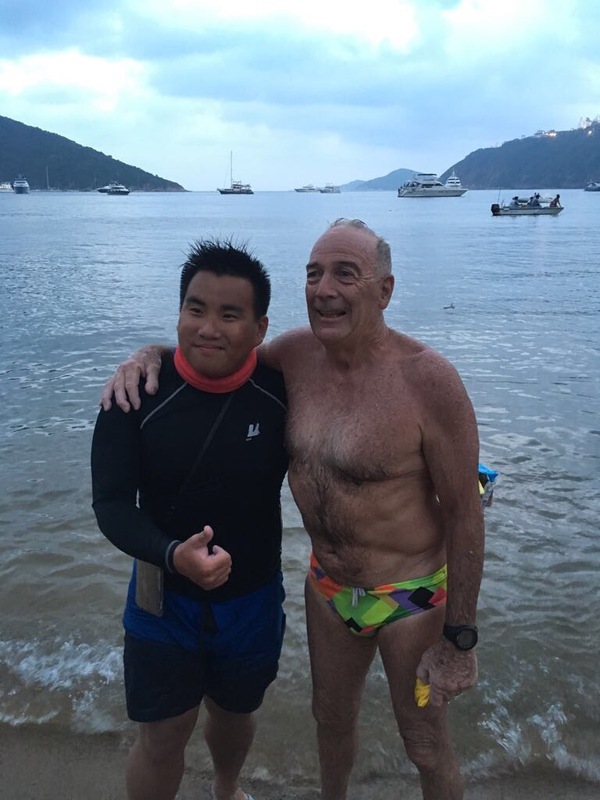 Finally 7 1/2/hrs later he swam in with Kenny who went above the call of duty and stayed firmly with him, encouraging and feeding him. He made it. The by now slightly inebriated crowd erupted into astonished applause and I started breathing. A chair, a drink and he was fine! Then the hard part … getting a taxi back into Central and a rush to make dinner as we were now an hour late! Chris was hosting us to a great restaurant on floor 101 looking over the harbour. Then he was flying back to London! OMG Frances. You must have been frantic! Glad it all ended well for Steve. No Westpac helicopter over there! Take care you two, stay safe. Glad it ended up ok.
Wow! What a big day – for both of you. Soooo pleased Steve completed the swim. He’s no doubt feeling very pleased and relieved. You both earned the delicious dinner! 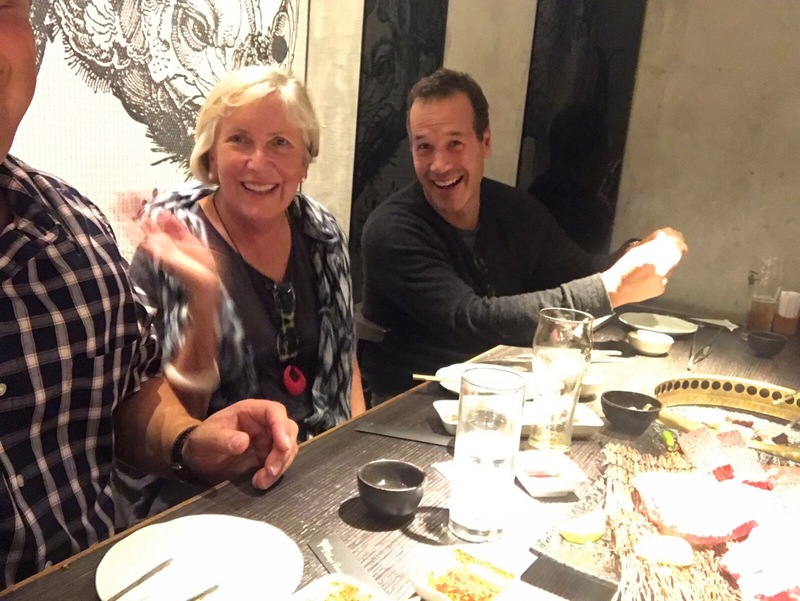 Amazing Steve – you’re a champion!